My philosophy on any “difficult” topic to broach with my kids is that we will discuss it early and often. So while I didn’t wait until my oldest was about to leave for college to bring up alcohol—we had discussed it many, many times before—I did make sure to bring it up as a specific, standalone conversation before she moved into the dorm. She rolled her eyes and said “I, know, I know, Mom.” So I assumed we were on the same page. Spoiler alert: sometimes kids flip the page and don’t tell you. Now that my daughter is halfway through her junior year and nearly old enough to purchase alcohol legally, I asked her to join me for a bit of back-and-forth on this topic. My bottom-line on drinking when you’re underaged is simply: DON’T. I’m not this hard-lined on everything. I mean, no one is going to accuse me of being cool and/or permissive in my parenting (least of all my own children, I’m sure), but I am neither naive nor a prude. We have always spoken freely in our family about every topic under the sun, and it’s not my usual stance to say “just don’t do it.” I’m more of a “be educated, be safe, be careful,” kind of mom. But never on alcohol. We have a lot of friends who allowed their older teens to begin drinking in moderation at home before they even left for college, reasoning that it was “good practice” because they were going to drink, anyway, and they wanted their kids to learn to be responsible about it. I never did. I’m not saying I’m right and those friends are wrong, by the way, but this was a hill I was willing to die on. Given that I’m pretty flexible on a lot of other hills, I thought maybe this message would get through. 1) … drinking while underage is illegal and are you looking to get arrested and/or kicked out of school? 2) … drinking on campus will get you kicked out of university housing, and if that happens, guess who’s no longer paying for your housing? 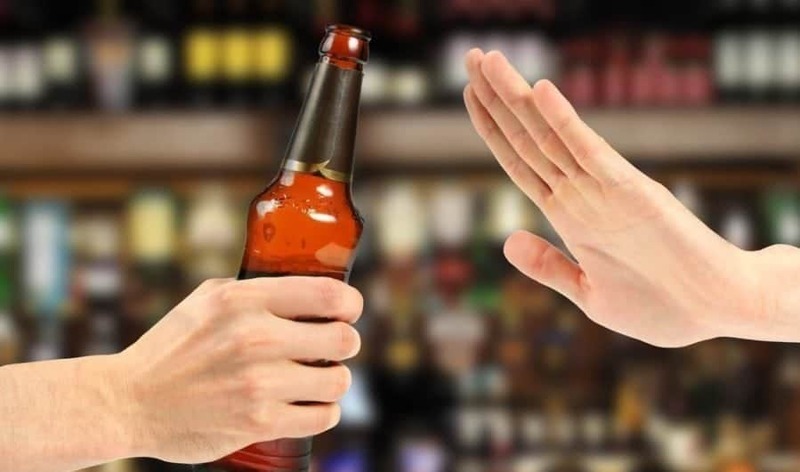 3) … drinking in an environment chock-full of other people who are also drinking (and young and without fully-formed frontal lobes) can be downright dangerous, especially if you are female. 4) … drinking when you don’t have a sense of your own tolerance/reaction to alcohol when you’re probably not getting enough sleep and eating mostly junk is a great way to make sure you both feel terrible and do poorly in your classes. 5) … I have seen, and you will see, what happens to your “invincible” peers when they think drinking is “no big deal.” P.S. If you ever drink and drive and manage to survive, I will make sure you wish you hadn’t. My daughter’s first year of college, she smugly told me about every case of alcohol poisoning and other alcohol-related mistakes her peers made. I felt vindicated, because she’d listened to me. She’d engaged in some less-than-smart behavior before leaving home, but that one message had gotten through. I’d done that one thing right. The summer after her first year, my daughter returned from school and promptly came down with a case of mono so severe, she ended up spending a week in the hospital. The first night in the ER, burning up with fever, hopped up on painkillers, she moaned and cried and asked me if she was dying. And then she started talking. It was a confession of epic proportions (she later told me she really thought she was going to die, and she wanted all the truth out before that happened), and among the laundry list of her transgressions—real and imagined—of course it turned out that she had been drinking while at school. Not a lot. But she’d lied about it, because she knew how I felt. And I was crushed. I didn’t really have any interest in drinking prior to college (none of my friends in high school drank), and my mother’s warnings sort of scared me out of even considering it. I spent a lot of my early teen years in what felt like constant trouble with my parents; I really wanted college to be a fresh start. So I headed off determined to focus on my classes, stay on the straight and narrow, and start my new and improved life with my new friends. The good news is that I didn’t drink at all my first semester. College is new and scary and different enough as it is, and I didn’t want to cloud my judgment on top of everything else. In addition to being very conscientious about my grades for my own sake (I’m on academic scholarship and want to go to grad school, so I have to keep my GPA up), my parents jokingly promised to give me the Netflix password only if I made Dean’s List my first semester. So I had my plan, and drinking couldn’t be a part of it. I threw myself into my studies and new life. On nights when many of my peers were going out to bars and getting wasted, my friends and I sat on the floor of my dorm room playing Cards Against Humanity, and we had a great time (and no hangovers). At my school, the Code of Conduct makes it clear that underage drinking will not be tolerated, and has specific consequences for those living in campus housing. I believed my parents when they told me that I would be thrown out of the dorm if I broke the rules. But as time went on, I saw more and more of my fellow dorm-mates being busted for drinking, and receiving nothing more than a slap on the wrist (typically an assigned essay about responsibility and maybe a small fine). Second semester, I felt more settled into my new routine. I began to see that sure, there were plenty of kids falling into a party lifestyle that definitely wasn’t for me, but I also started seeing that even my fellow honors students sometimes had a drink or two occasionally. I was curious about the appeal of alcohol, and figured that if I was careful (both with location and quantity) I could partake without serious consequences. So we’ve talked about it since then, and my position hasn’t really changed. I still think it’s a terrible choice to make. The fact that “everyone does it” does not make it good or right. Some kids head off to college and it’s no big deal, but you, kid, had a very tumultuous early teen-hood and the fact that you’re now not just surviving but is excelling is a really, really big deal. Why would you risk all of that? This is the part where I both apologize to you and offer a defiant “but it was fine!,” because I did drink in the dorm, but never to excess, never in a compromising situation, and I feel like it wasn’t that big of a deal. I am a very careful person by nature. I never have more than a drink or two. I have a good sense of my tolerance level (not much) and I’m not drinking to drunkenness. Cards Against Humanity is even more fun when everyone’s a little tipsy. Despite what the Code of Conduct says, basically if you drink at school without being loud or dangerous, the powers that be pretty much look the other way. I had (and have) no interest in being even a little off my game in public—I’m never going to go party at the bars or otherwise in public—(#nottryingtogetroofied) so drinking in the dorm (the relative safety of mine or a friend’s room) seemed like the lesser of two evils. Know that I have never, and will never, put myself in a situation where I would have to drive even hours after having a single drink. I won’t even go into a situation with a so-called designated driver because if I’m not thinking 100% clearly, how do I know the DD is still sober? Drinking and driving is no joke and that’s not a rule I consider flexible. We may disagree on some nuances, here, but drinking and driving do not mix and I think I will always err on the side of being too cautious on that. At this point—less than a year before it will be legal for you to purchase your own alcohol—I do allow you to join us in a glass of wine at dinner (we don’t drink very often, so this is rare). This is technically legal (you have parental consent, you are on private property, you didn’t purchase the alcohol) and I’m grudgingly coming around to understanding the “training wheels” approach to letting you explore how alcohol affects you. But I still worry, because that’s what I do. … open communication is key even if we don’t always reach the same conclusions. I can’t make my kid follow my advice to the letter (let’s be honest; I can’t even make my kid pick her socks up off the floor, most of the time), but she pointed out to me multiple times as we worked together on this piece that she appreciated my openness on this topic and how much understanding she had before she left home. I never said “Don’t do it” and walked away—we talked about why I felt that way, how alcohol is processed by the body, how the kind of alcohol and your particular size and biology can change how it affects you, strategies for getting out of high-pressure situations, etc. We talked about everything, and I don’t regret that at all. It might have been overwhelming and/or weird if we’d only started talking just before she left, so we both agree that having discussed alcohol many times in snippets of gradually increasing depth over the years was good preparation for her to make her own informed decisions. To be clear, I don’t love that she chose to partake while under 21—and she is not encouraging others to follow suit—but I appreciate that she credits our relationship and honest dialogue for her choices in terms of safety and moderation.